You are here: Home / Blog / Stop Feeding Your Kids Crap! As a mother and a teacher I am constantly amazed and appalled at what parents are putting in their kids’ lunch boxes. Chips, processed food and soft drinks seem to be the norm, and you’re lucky to find a piece of fruit or a sandwich anywhere. What some parents are passing off as ‘lunch’ is disgraceful and today I’m pleading with you to stop feeding your kids crap! Before everyone jumps on me, I know that this isn’t everyone. There are lots of parents that send lovely healthy lunches (and I’m not even complaining about a treat or two), but sadly it seems that more and more children are being sent to school with inadequate food and I am struggling to find the justification for why. The effects on attention span and behaviour can’t be good when you see what ‘fuel’ they have been given for the day. Too many children are coming to school without breakfast. 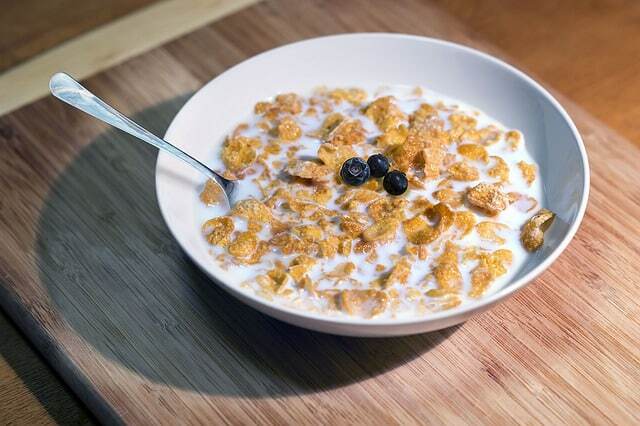 According to the Red Cross, 1 in 4 Australian children go to school without breakfast. It’s now commonplace to see schools offering a free breakfast club. I’ve even seen teachers who make breakfast in their classrooms for student’s who need it. No fruit or vegetables sent to school at all! If your child is at an Australian primary school the chances are that they have some form of fruit break, or munch and crunch. This is a fabulous idea (and stems from the point above) where students are given a short break about an hour into the school day where they can snack on fruit or vegetables. It’s sad to see how few students are given any fruit. Once again, many schools are using their own limited resources to provide fruit for the students who don’t have any. I often hear the excuse, “They don’t like fruit”, but the schools that I’ve seen who provide fruit to those who don’t have any will tell you differently. The majority of students offered fruit, choose to take a piece. 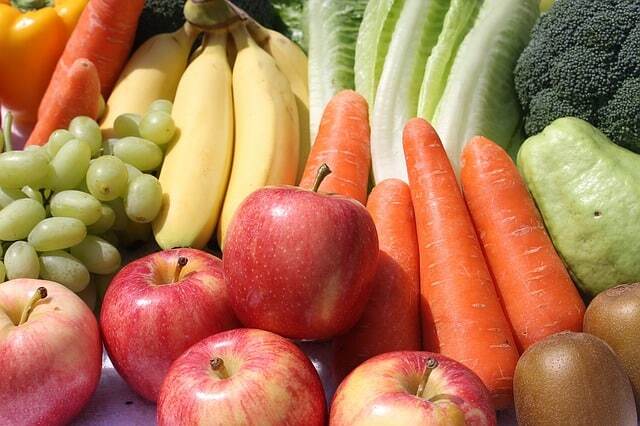 With the ABS reporting that only 68% of Australian children (aged 2-18) receiving their recommended intake of fruit and a very sad 5% consuming the recommenced amount of vegetables something needs to change. Fruit and vegetables are one of the cheapest foods to send to school, especially if you buy in season, and there’s no excuse for sending none at all. Many children come to school with no ‘real’ food. By real food, I’m talking about something substantial for lunch. A sandwich, a wrap, a roll – anything substantial that will keep them fueled up and ready to learn. What you do find is packets. So many packets. Packets of chips, packets of sugar filled yoghurts, packets of biscuits and sugar filled fruit drinks. For many children this is their ONLY lunch. These are not treats to have after a sandwich, or after their fruit. They are expected to survive the whole day on chips, biscuits and sugar filled drinks. With more than half of all Australians consuming more exceeding the World Health Organization’s recommended sugar intake, this is alarming. 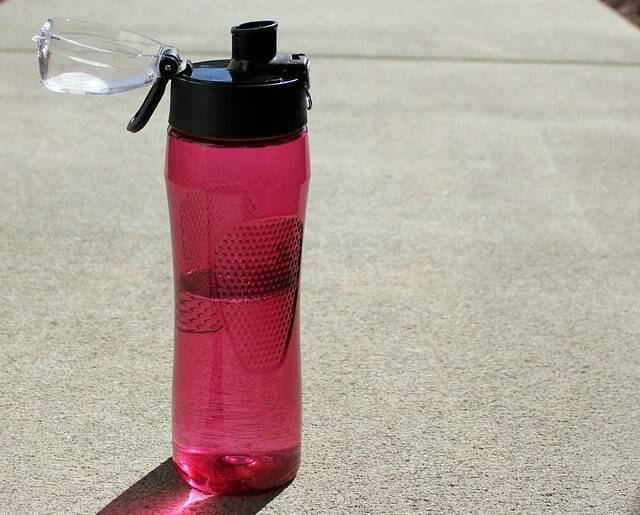 It’s not uncommon to find drink bottles full of cordial or even soft drink. Water is all that is needed, especially while at school. Don’t let your children fill up on sugary drinks. Advertisers are talented people and they do a great job at making us think we are giving children healthy food when in fact it isn’t. Yoghurt is one of the worst offenders of this. The pouches look healthy, they have pictures of fruit on them, and throw around terms like ‘organic’, but almost all of the yoghurt pouches in the supermarkets contain sugar as one of their main ingredients. Pictures of Peppa Pig and Frozen are plastered over all kinds of foods, and often the thinking is that if it’s marketed to children it must be good for children. WRONG! These are generally the worst offenders. These ingredient lists below are from food that I commonly see in lunch boxes. I wish I was making this up. I wish I was talking about the minority here, but I’m not. This is what I see in schools every day. Different schools, different locations, same kinds of crap food. So as a teacher, I plead with you. 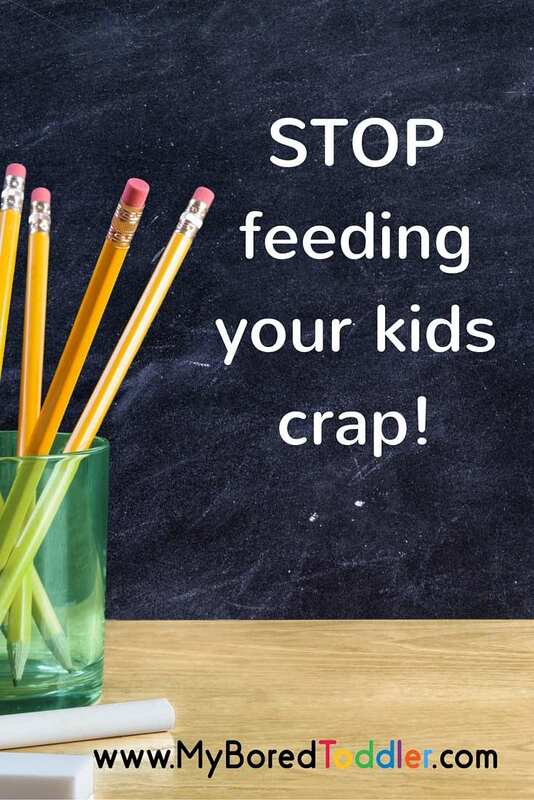 Stop feeding your kids crap! Sending a healthy lunch for your child does not take long to make and is not expensive. I’m not asking for an amazing lunch, not even a great one. I’d settle for a piece of fruit, a sandwich or wrap of some kind and a bottle of water. I guarantee this will cost the same, if not cheaper than all of the packaged food.The lunches pictured below all cost less than $2.50 to make and took less than 5 minutes to prepare. If your child won’t eat breakfast in the morning send them with breakfast to eat on the way to, or before, school. Snacks like this weetbix on the go recipe or a berry shake are perfect for this. Buy fruit and vegetables that are in season and on special. I try not to spend more than $3 a kilo on fruit or vegetables from the grocery store and we always have plenty of options. Today at Coles I was able to find apples, bananas, watermelon, mandarins, carrots, cucumber and grapes, all for under $3 a kilo. Switch to wholemeal bread or wraps. A loaf of homebrand wholemeal bread is $1.50 from the supermarket and for $3 you can get 10 multigrain wraps. By adding lettuce, tomato, cheese and some sliced meat you will be paying less than $1.50 a sandwich and there are so many varieties you can make depending on your child’s tastes. Make your own fruit, yoghurt and custard pouches. Not only are the store bought pouches full of sugar and other added ingredients, they cost a lot more. By making your own (buy a large greek yoghurt and flavour with real fruit or try this great home made custard recipe ) you can make these for less than 50c each. I use the Sinchies reusable pouches, and they pay for them self within a few weeks. Do you agree with me? I’d love to hear your comments on this topic. Comment below or pop over to our Facebook page to continue the conversation. 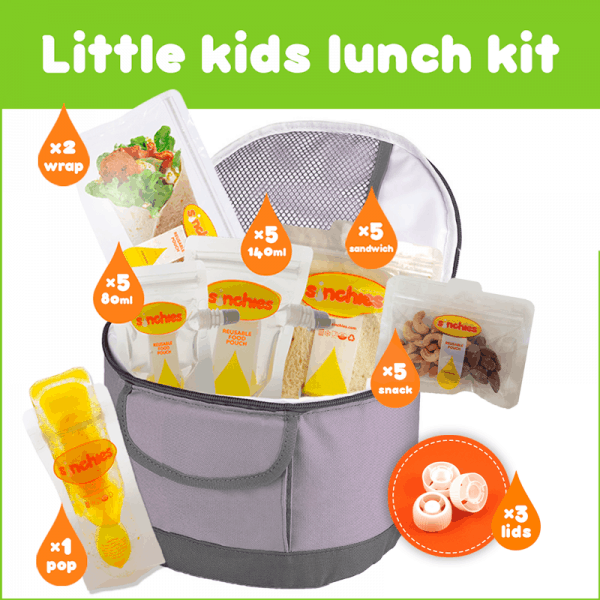 Would you like to win a Sinchies Little Kids Lunchbox Kit? Sinchies was the first Australian company to make resusable pouches, and now also make reusable sandwich bags and wrap pouches as well. You can find out more about Sinchies on their website, or follow them on Facebook, Twitter, Instagram or Pinterest. To enter tell us in 25 words or less why you want to win a Sinchies Little Kids Lunchbox Kit and enter below. Australian residents only. Ends 13 May 2016. This competition has ended. Congratulations to Ashley. 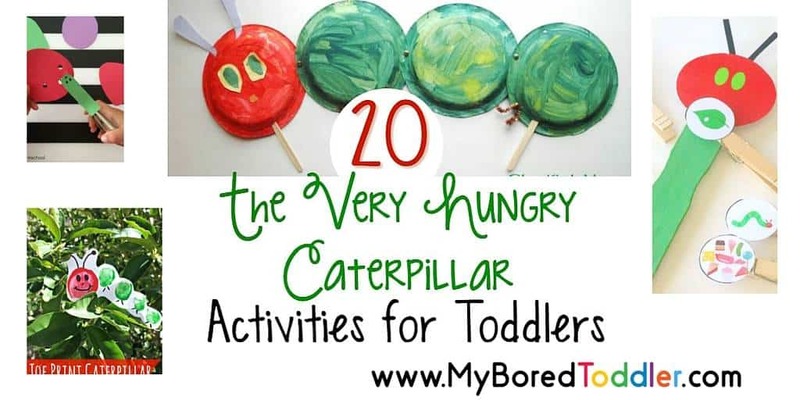 Filed Under: Blog, Toddler Recipes, Toddler Reviews, Win! 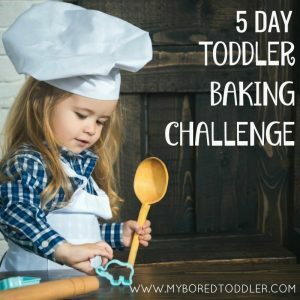 I have a fussy 4 year old and need help to encourage him to eat healthily, especially when at school, many others don’t. Miss 9 and Miss 2 are extremely picky! I try my best but lots got to waste. I need help Sinchies! Every day would feel like a picnic using the sinchies products. For little Zoey who is four and loves picnics to bits! SO many different ways to wrap the goodies up and go! These Sinchies products look very practical to use. The reusable pouches are great for daycare and baby food but as soon as my child started school they went missing. He just throws them out at school! I always stick to my rule of sandwich and fruit in my sons lunchbox, then include one healthy snack (eg cheese and crackers) and one treat. His school taught the kids when in prep to eat their sandwich first, then fruit, then everything else. So he always eats his lunch that way now which is fab. They also do fruit break in the morning. I’ve never really looked at the amount of sugar in the yoghurts I buy for my boys. I knew they weren’t overly healthy but wasn’t expecting them to be that bad. Time to start making my own so the pouches would continue handy. Thanks for your comment. Most schools do their best to make the kids eat the healthy food first, it’s when there is no healthy food that it’s a problem. Those yoghurt pouches are deceptive aren’t they. They look healthier than they are! I love this article. Being a Nurse, I too see the effects of poor diet choices & the over use of orange & other juices instead of water…. Their poor teeth suffer tremendously! Parents say oh it’s only their baby teeth, not realising the long term effects on their adult teeth! Not to mention their poor tummies, arteries, heart and other vital organs! Your post is very informative & excites me that others are recognizing these issues too! Because I believe unprocessed foods are so unhealthy and I want to give my kids the best start in life! Wow, such a great idea. I love the reusable yoghurt pouches! My 4 year old has just become really fussy and I am struggling to get her to eat. I think she would go for these as they look like a treat! I live in the US and once a month or so host a kids book club for my son’s class where the kids eat lunch while I read them a book. It is pretty appalling the choices the kids make and what’s packed in their lunches from home. I realize just how healthy my kids lunch is that we pack everyday (in comparison to kids who have entire baggies filled with cookies). I tell mine only one “pantry snack” which is usually unsweetened applesauce or granola bars and then they can pick fruit, cheese or yogurt. I’m guilty of buying packaged yogurt pouches though and they always get a sandwich, bagel with cream cheese or leftovers in a thermos. Stopping by from Share the Wealth, I hope you’ll join us at Small Victories Sunday Linkup too if you haven’t already! Re usable bags would be so great, better for the environment and my pocket. Have a child who loves yogurt but I refuse to buy the shop ones due to sugar, his containers seem to go missing or he forgets a spoon. It’s sad to see that this is also occurring in Australia, not just the United States. I can’t stand seeing when the parents eat super healthy, and yet their children are eating crap-sugar, salt, and fat. I love the reusable packets for fruit/vegetable pouches, are they easy to clean? Love the idea of reusable bags, my childcare has just done away with plastic bags for wet clothes and other miscellaneous items. I’m going to suggest that all throw-away plastic bags shouldn’t be used and we should look at reusable pouches and bags for lunch boxes. so we need to keep them healthy. I’m using plastic containers to reduce waste, but they are not practical as they take so much space. The Sinchies products look amazing! Sinchies are extremely versatile and I love that I can reuse instead of waste. I have struggled to find suitable containers, tried not to use too much cling wrap or foil, so Sinchies would certainly come in handy in my household. 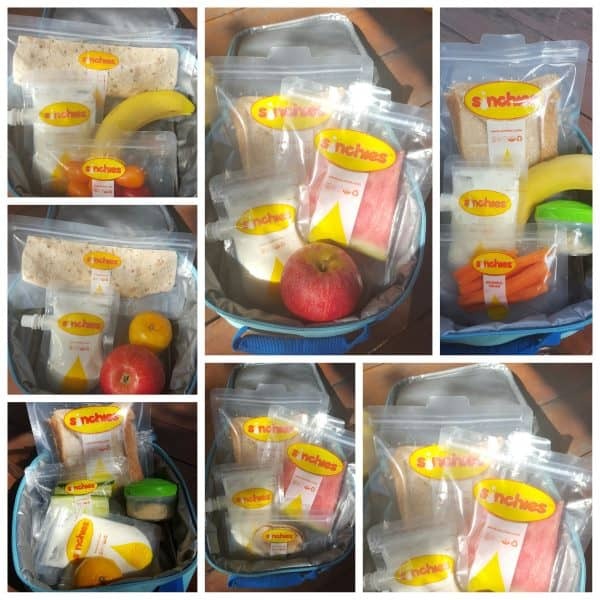 I would love this pack to send more healthy options to school with my girls. They are extra keen on yoghurt at the moment! With a grade 2 and prep student and 2 more still to enter school this sinchies pack qould be great to win. My kids like their lunch and snack items packed in ziplock bags because they tell me they are easier to take out in the school yard than reusable lunch boxes and containers. I go through a lot of plastic ziplock bags and am always conscious of the environmental impact. 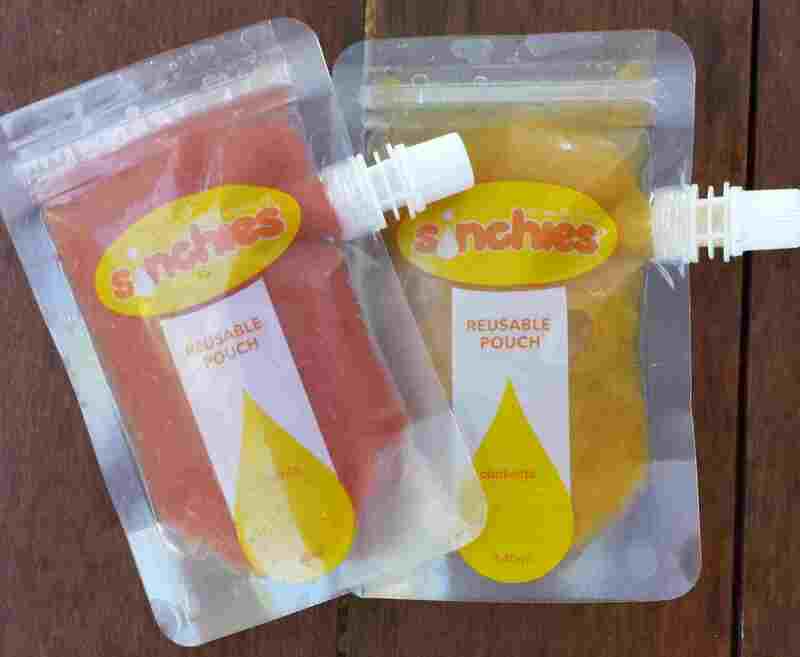 Sinchies would be the perfect solution for our family as the kids get their transportable lunch packaging which can also be re-used thus reducing waste and I can feel happier about what’s going to school in my kids lunch boxes! Great points. You’re absolutely right, schools and parents should be more conscious of what they’re feeding kids. Like you said, a sandwich and a piece of fruit is simple enough. Your point about sugar and yogurt is interesting. 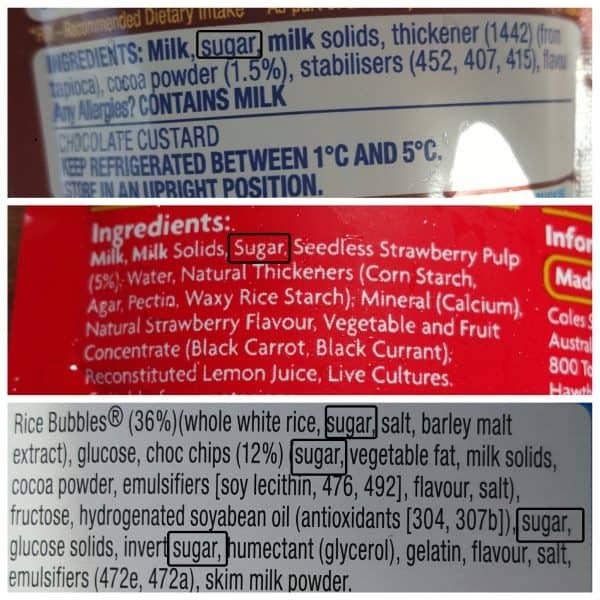 I never even thought to look through the ingredients and see just how much sugar is in that. I’ll have to be more conscious about it now. Thanks for sharing this with us on #shinebloghop this week. So happy you could join us! I think I am one of the only parents who still isn’t a fan of giving my kids juice. My daughter gets super excited about it, you’d think it was chocolate or something! 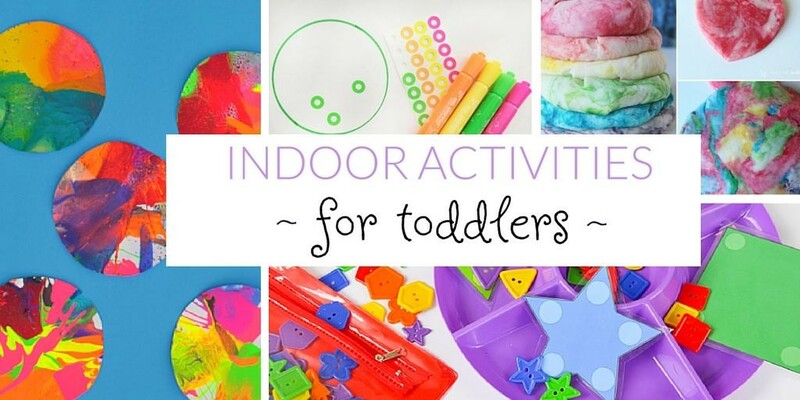 Love that they are reusable and so versatile! Would make ending more healthy foods to school easier. We love these, as our family of five are all sugar free/ grain free. We like to keep things simple to nurture our bodies and Sinchies go along way to helping our busy family achieve our health goals. control over what goes into his pouches. I’ve been wanting some of these for so long now, to make the kids lunches healthier for school and travel! I’m actually not doing too bad reading this. But the yogurt is an eye-opener so I’d love the sinchies pack for making my own. It will make making lunch sinchies! Our son is on a special diet under direction from a Behavioural Neurotherapy Clinic (to assist in managing his ADHD). The results so far have been incredible. Knowing he’s feeling better inside and out is wonderful and it’s reflected in his school results already. While we’re winning on the ‘feeding kid good food’ I feel guilty sending so much non-reusable glad wrap/ bags. This would cure my green conscious! Wonderful article – I love that you pointed out what was wrong, showed the labels AND offered up solutions!! Sinchies make life a cinch (pun intended). They provide everything needed for a nutritional day at kindy. We had 3 children in 3 years, feeding time at the zoo is not always pretty! But these Sinchies would make it so much easier. They might think for a minute they are getting a ‘treat’ because it’s packaged food. They don’t have to know Mum actually packs it. These would be great to help promote nutrition and environmental sustainability in my infants class at school. I work in Teaching – taking Sinchies to school would educate kids and parents; healthy eating at its best; creativity, simplicity, affordability and all the rest. This prize would be a great way to save money on yoghurt especially! My kids loved the squeezie yoghurts but as I a mum I don’t love the amount of sugar in them! Filled with natural yoghurt and a dash of honey would be pefect for their tummies and my budget! Not only are they adorable and affordable. My cooking in the kitchen will now be unstoppable.